Last night was actually really late for me. Stayed up until almost midnight!! I mean, there were priorities…went to go watch the Justin Timberlake concert. I stayed up during the whole concert too…April fools! May or may not have dozed off a time or two during the slower songs. But overall it was an awesome show! He’s a very talented performer and the dancers and band were also impressive. When I did a quick search on the ol’ Google device, it turns out he actually had to cancel several shows last year because of a vocal cord injury. Shout out to him for getting back to full rehab and scheduling a full tour slate to quickly! 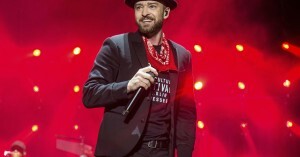 Justin Timberlake overcame injury to put on a great concert, you can overcome injuries too! One of the things I see commonly, is that people actually fall short of full rehab. That being, when the pain is gone, they’re done with treatment. If that’s the way a patient wants to take care, that’s fine. But if JT just rehabbed his vocal cords to the point that they didn’t hurt in that moment, odds are he’d have another vocal cord injury shortly after and he’d have another shortened tour. Much the same way, if a patient goes through a very short window of chiropractic rehabilitation, they may feel really great in a matter of a couple short weeks. But the reality is, if an injury is significant, or if it took months or years to develop, it could take going beyond the guide of pain for getting back to 100% function. Yeah, it comes with a longer commitment get a larger level of recovery. But the long-term return to function is worth it, in my opinion. And you’ll be just like my buddy Justin.